Attorney E. Duane Jones has been involved in high profile litigation since he began practicing over twenty years ago. His first major case as a rookie attorney, Families First vs. Marve, took two trips to the Georgia Supreme Court and made landmark law in the adoption area. He has won millions of dollars for his clients in medical malpractice, personal injury and employment discrimination cases, and has had successful appeals in both civil and criminal cases. 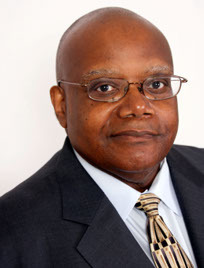 He has also litigated employment issues with county governments across the State of Georgia, and has appeared in federal court in Georgia and New York. He has extensive experience in 42 U.S.C. 1983 actions as both plaintiff and defense counsel, and has handled over sixty Title VII cases. He has coordinated the collaboration of law firms from multiple states in major litigation. He now concentrates on wrongful death, serious personal injury, civil rights, school law and medical malpractice cases. A graduate of Harvard University and U.C. Berkeley Law, Mr. Jones has worked at the Oakland Alameda County Bar Association and later, at the corporate headquarters of IBM corporation in the general counsel’s office under former U.S attorney general Nicholas Katzenbach. Since 1991, he has been in private practice in the firms of Johnson, Johnson & Jones, King & Jones, Johnson Hopewell Coleman (where he continues as of counsel) and E. Duane Jones, LLC. Prior to practicing law, he worked at Shearson Lehman American Express and the U.S. Trust Company in New York. He is a lay minister and board member at Cross Culture Church in Lithonia, and heads the church’s political activities ministry. He was a charter member of the board of directors of Project Destiny, the juvenile justice mentoring and diversion agency that has served hundreds of DeKalb County youths.